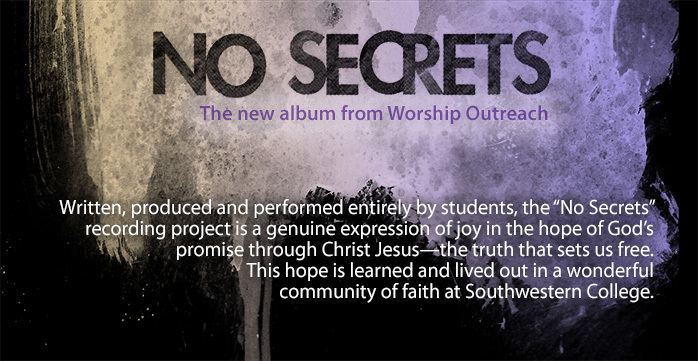 The new Worship Outreach album "No Secrets" available now! Songs of God's love and joy from Worship Outreach at Southwestern College The idea of No Secrets begins with God's work of offering new life to us and inviting us to an understanding of what He has already done. It is from this gratitude that we can serve the world around us. We hope these songs are a testimony to the joy of a life of truth with God and truth with each other. No Secrets!